How much to hire a skip? What bin sizes do we have? What types of waste do we collect? Which areas do we deliver to? We operate a fleet of skip trucks and have in excess of 600 bins available in different shapes and sizes to accommodate every situation and requirement. Our goal is to provide a friendly, stress free, reliable and economical way of removing your waste, and the seven day hire period allows plenty of time to clean up your home, garden, shed or workshop. For ongoing projects we can also provide skip bins for long term hire at an additional rate. Just Skips has a strong focus on sustainability and recycling. In a bid to reduce our carbon footprint and our impact on the environment all waste from our skip bins is taken to a licensed waste sorting facility where useful materials are recovered for reuse. Only non-reusable material is sent to landfill. The aim of Just Skips is to provide more than a waste collection service. Our reputation for reliability and efficiency while satisfying our customers needs allows us to deliver a leading edge approach to manage every rubbish removal situation. The payment page is automatically completed for you. You only need to give your card details on the secure payment gateway that you are automatically redirected to when you click on pay by credit card option. If you’re looking for the best skip bins in Adelaide, you’ve come to the right place. At Just Skips we’re one of Adelaide’s premier waste control companies, providing outstanding value skip hire for domestic households and commercial customers throughout the Adelaide metropolitan region. So no matter whether you’re rebuilding your house, clearing out the garden shed, or refurbishing a bedroom, we’re here to help you get the job done properly. When you hire a skip bin from Just Skips you can rest assured that you’ll receive first-class customer service and customer care. Our friendly staff are courteous and knowledgeable, and highly experienced when it comes to waste removal. 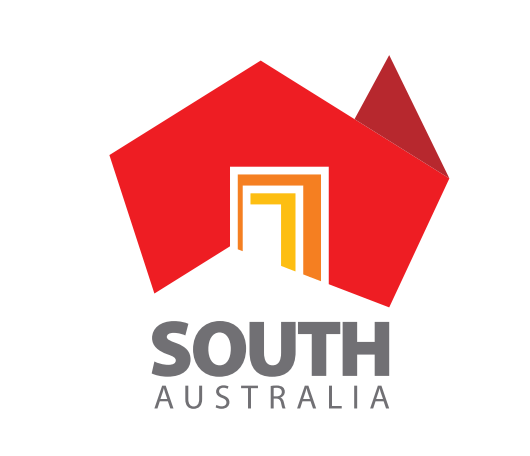 Ever since we first opened our doors in 2003, we’ve prided ourselves on supplying South Australians with the best skip bins Adelaide has to offer. 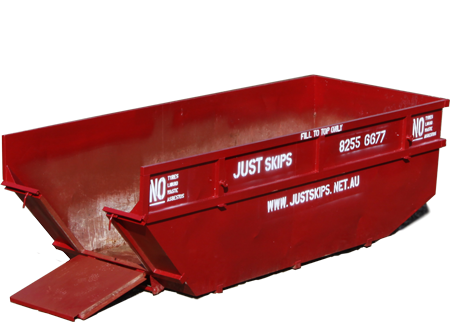 At Just Skips we are 100% committed to providing quality skips bins to Adelaide residents at affordable prices. When you book a skip from us you’re guaranteed timely delivery, punctual collection, and top class customer service each and every time. We offer a full range of skip bin sizes to accommodate different load capacities, including 4 cubic metre skips, 6 cubic metre skips, & 9 cubic metre skips. As the provider of skip bins Adelaide households and businesses know and trust, we’re more than happy to help you select the skip that best suits your individual needs. We’re well positioned to handle professional waste removal for commercial and industrial purposes. So if you’re an Adelaide based business or service looking to partner with a skip bin provider for all of your waste removal needs, don’t hesitate to get in touch with us on (08) 8255 6677 or contact us online. Can you place the skip bin on public land or a nature strip? All Adelaide councils have pretty strict regulations when it comes to where a skip bin can and cannot be placed. And while we are more than happy to advise and assist you as to the best way of going about obtaining the required permit, it is your responsibility to seek a council permit for the placement of a skip bin on public land prior to booking. If you do require help obtaining a council permit for your skip bin hire, please contact us prior to delivery. How full can I fill the bin? Under no circumstances can a skip bin be filled above the rim. All of our skip bins have a maximum height fill point that must be respected. It is illegal in Adelaide to transport an overfilled skip bin. What happens if I overfill the bin? If you do happen to overfill your skip bin you will either have to hire an additional bin to house the excess waste, or find an alternative way of removing the additional material. If you’re not present at the site when the bin collection occurs, our driver will be forced to remove the excess material. All labour costs incurred by having to remove excess rubbish will be billed under additional charges, and will be billed directly to you. In cases where the excess is not removed and the skip remains for extended periods, the customer will be liable for additional charges including rental, labour costs and additional transport costs if necessary. Since nobody likes looking at an eye-sore sitting in their front yard we do our upmost to make sure all of our 600+ skip bins are properly looked after and maintained to the highest possible standards. Our bright red skip bins are well known around Adelaide for being durable and well looked after, so what are you waiting for? Call us on (08) 8255 6677 or book online today, and start decluttering your home with the best skips bins Adelaide has to offer. Copyright © 2018 Just Skips. All Rights Reserved.